We have three halls available, including the award winning Gambier Parry Hall, for public and private hire. The halls can accommodate a wide number of activities including conferences, training seminars, wedding receptions, music events, dances, sports and social activities. A range of Audio Visual equipment is available including large screen projection and Wi-fi Internet connectivity provided by Loop Scorpio. A full range of catering options from buffets to banquets are available on site from Bar Quality Catering. 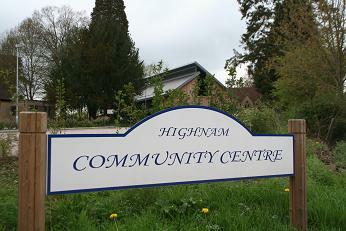 Please take some time to view our Halls, check availability or contact our Bookings Manager at bookings@highnamcc.org.uk.